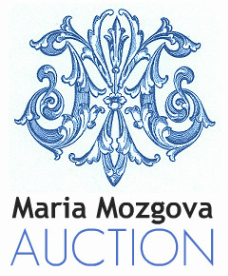 Maria Mozgova Auction Provides Premier Private Sales Services. Clients interested in selling high end items (mainly Art, High End Collectibles, and Antiques Furniture) outside of our Estate Auctions can consider the option of a private sale. We offer our clients access to a large network of collectors and professionals. This access enables us to meet a client's sale requirements while achieving the best price possible for our client with complete discretion and confidentiality. If you want to evaluate the Private Sales option, please fill up the information below, attach pictures of the item and we will contact you shortly. We will treat your request with the highest level of discretion and confidentiality. Thank you.